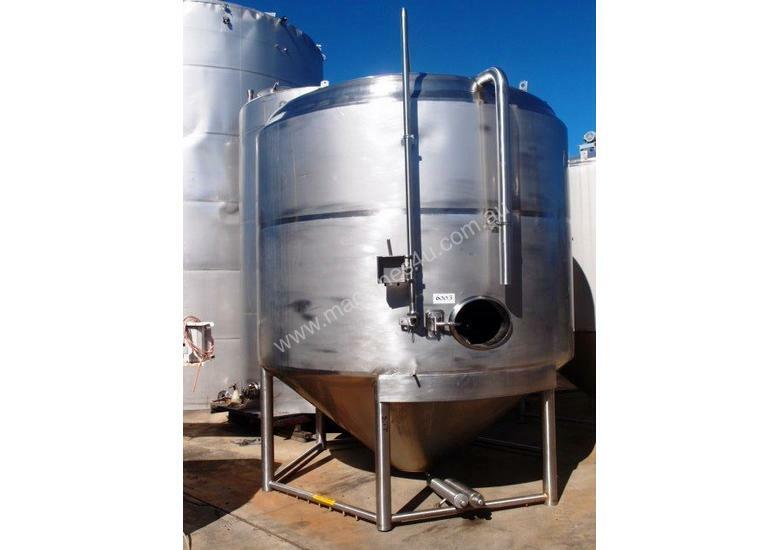 Stainless Steel Storage Tank (Vertical), Capacity: 15,000Lt, Dimension: 2800mm Dia x 2000mm H x 1100mm Cone Unit is a vertical fully welded insulated stainless steel dairy grade storage tank. Tank has a dished top with center mount CIP spray ball. 100mm dia product infeed tube. Steep conical bottom with 75mm dia center discharge. Tank is fitted with hinged manway & lifting lugs. All internal welds are ground & polished. Overall Height: Approx 4850mm.